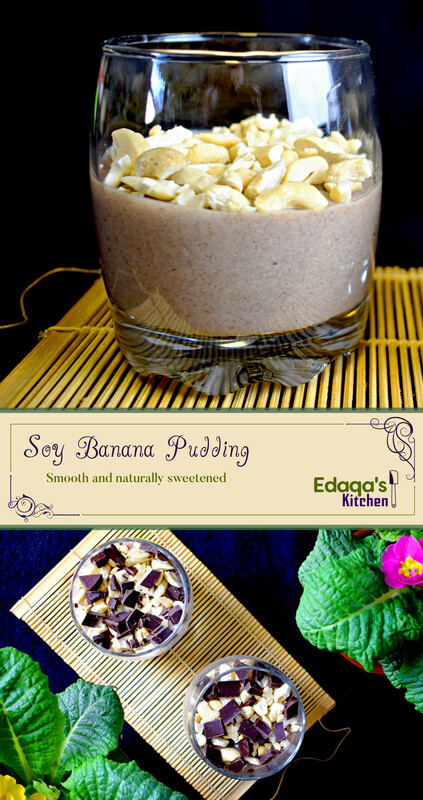 Smooth, naturally sweetened banana pudding. This recipe uses a small number of ingredients and has few steps. 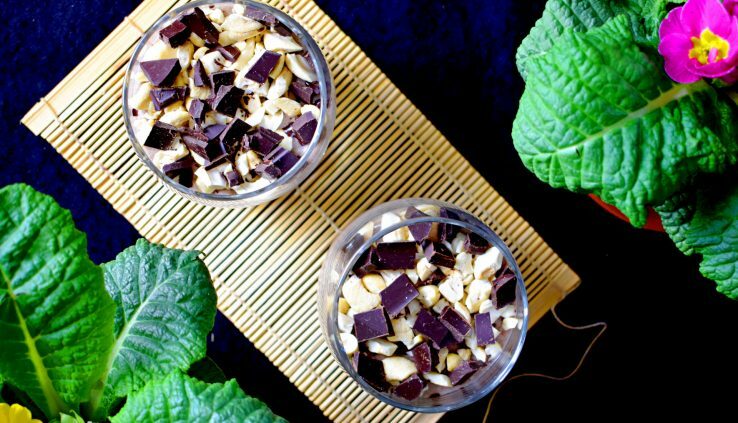 Sprinkle some nuts and chocolate on top for a first class dessert. I’ve been experimenting with natural sugars lately. As part of the push for healthy food, we should be avoiding refined sugars. They create terrible blood sugar spikes and lack a lot of nutrients that a whole ingredient has. It’s not a simple matter of replacing the sugar with a different ingredient. As natural sources, mainly fruit, come with a lot of bulk, the recipes need to be designed around them. Banana’s have been working well. They have a double win: natural sugar and the pulp lessens the need for thickeners. Of course, as we’re always targetting lower carbs, in this recipe I use locust bean gum rather than corn starch — which is typically used for puddings. Despite this deviation from a traditional pudding, I was pleasantly surprised at how smooth and airy it turned out. The optional maple syrup is a gateway sweetener to entice individuals not yet adapted to naturally sweetened desserts. Alternately, try to use an over-ripe banana instead. The more squishy and brown it is, the sweeter it will be. If you’ve used a sweetened soy drink, then you’ll already have enough sugar in here. I buy unsweetened milks whenever possible. I should note that any other milky drink should work fine here: almond or oat are good possibilities. I have a feeling this would work well with some chocolate melted into it, and chili added. If I can figure out how to get it a bit airier, perhaps I can create a mousse. Puree until the ingredients become a smooth mixture. Pour the mixture into a pot and place the pot on the stove. Cook at 75% heat until the mixture is slightly thickened. This should take under 5 minutes. Remove the pot from the stove and pour the mixture into serving cups. Let the pudding cool or enjoy it warm. Tag us with pictures of our recipes you've cooked. I purchase kitchen equipment from Amazon.